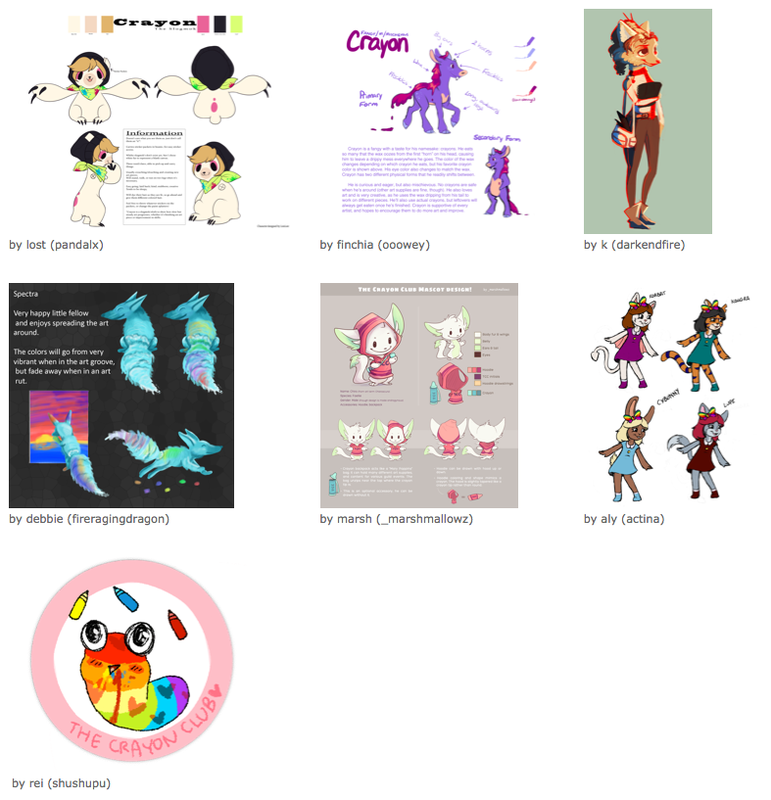 Welcome to The Crayon Club's archive of past activities! Here you can browse through all the retired activities that took place in the guild. The original instructions as well as a collage of submissions are all stored here! 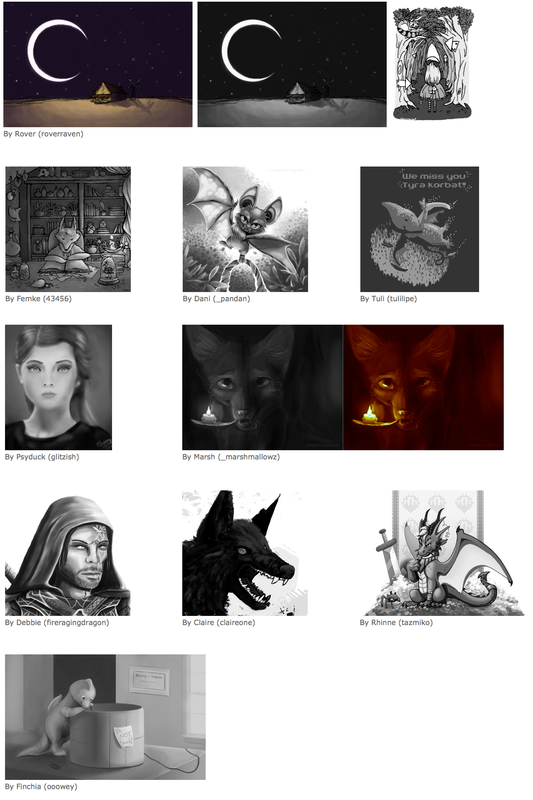 Most of the artwork sections in this archive are saved as a single screenshot of all the submissions for that activity in order to preserve every member's entry (in case one gets deleted from an image host) and to save bandwidth for their image host. 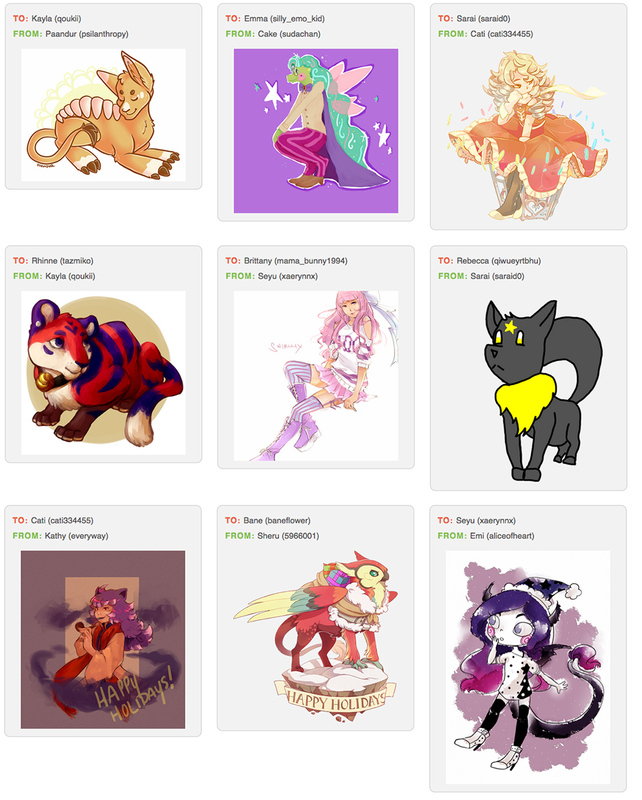 To view an original full-size submission you can go to that member's progress chart! Please note that every activity on this page has ended and is no longer taking submissions. 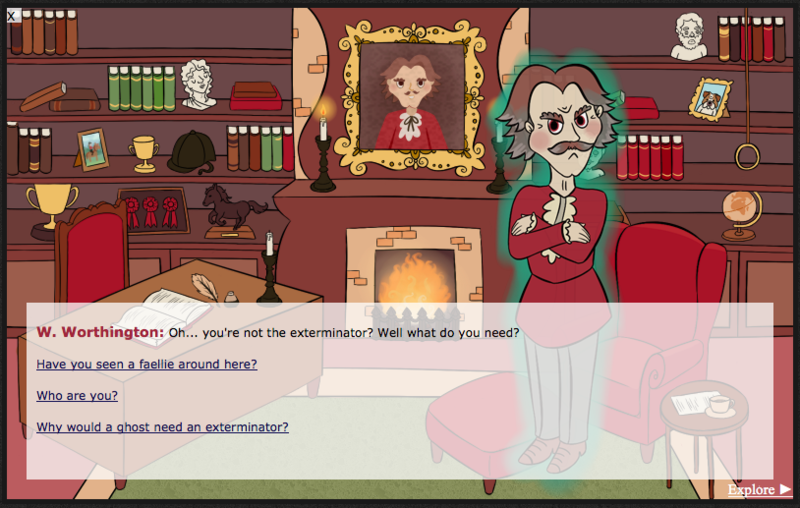 For a list of current activities you can participate in, visit the Activities Arcade here! Coding by _marshmallowz and seakittie, for The Crayon Club only. Background from subtlepatterns. Dropdown navigation coding by Trodia. Welcome members of The Crayon Club to our very first monthly activity! The guild aims to encourage its fellow members to practice and continually improve their artistic abilities. The focus of this month is colour (or 'color' ;D). How do we use colour? It can be used to add contrast, depth, vibrancy, interest, atmosphere... the list goes on, and it is one of the artists most powerful tools. It's sometimes a tad easy to go overboard and try to shove as many different colours into a single artwork. But it's surprising just how much you can do with a limited palette. The Palette Challenge: Below you will find a wonderful little compilation of different palettes. 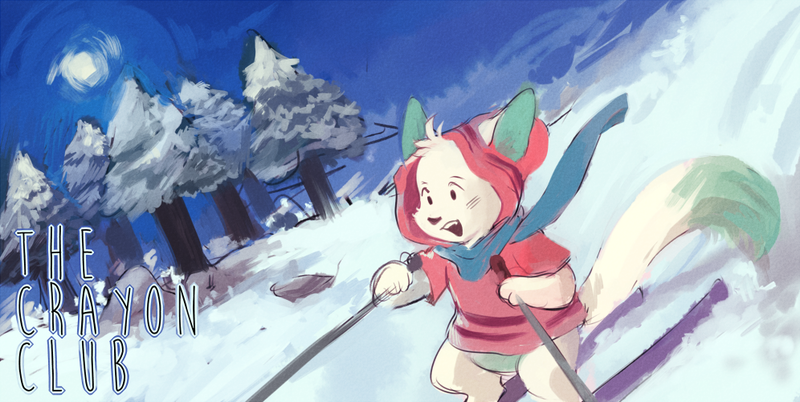 The objective for this month is to draw/paint/make something using only the colours from a single palette. You may create as many drawings as you like to any colour palette of your choice, as long as each image only uses the colours of the chosen set. You can choose any palette from both the main selection and user made ones. Please include on the image which palette you chose (#) or neomail tje number upon submission. Submit your own! You also have the opportunity to submit your own colour palettes with combinations you find interesting or aesthetically pleasant and challenge fellow members to draw something exclusively with these colours. Have a particular drawing you've made that you like? 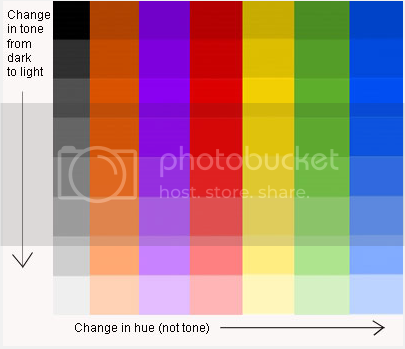 Maybe you can select a few of the main colours from it, put them on a palette and observe how other artists will use them! The main requirement is to make a palette using only a limited number of colours (around 5-6, not the entire visible spectrum xD). Makes a tutorial! Lastly, if you feel you have some words of wisdom or tips that might help others improve how they choose and use colours, it would be fantastic to have that insight in the form of a tutorial! These tutorials will be featured both here and on the guild's front page. For more information regarding tutorial submissions, go here. there are none go knock yourselves out? 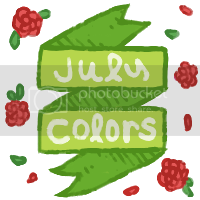 Participation of any shape or form, whether it be contributing to conversations regarding colour on the boards or submitting something into the palette gallery will allow you to earn the July prompt sticker! The activity will end on July 31st (NST) and another one will be introduced for the month of August. Of course you may continue to practice using the palettes, but submissions will no longer be taken. It is probably a good idea to save the palette images if you want to continue using them in the future! Any tutorials made will be placed onto the main guild website after the activity finishes. Any user submitted galaxies will be allocated with a number (#101-#~) to make it easier to see which palettes the finished images used. The tutorials about color that were made for this month can be found in the tutorials section of the guild webpage here. Welcome members of The Crayon Club to August's monthly activity! The guild aims to encourage its fellow members to practice and continually improve their artistic abilities. The focus of this month is background. 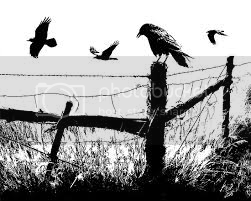 Specifically, landscape based backgrounds that portray environments ranging from mysterious forest clearings to vast cityscapes. The different settings for backgrounds are endless but to make things even more complicated one also might need to take into account things like time of day, lighting, weather, atmosphere, composition, positioning... 'omg stahppp' you say, 'that's too much i don't even know how to draw a rock!' Well, we'll get into the specifics later, but for this month we're going to be doing a couple of exercises just to get everyone's background drawing abilities warmed up! Let's move on to the tasks! Here are the tasks for this month's challenge! Makes a tutorial! For some of you background/landscape pros out there (and I know there are some!) who have any words of wisdom to share regarding the background process please make a tutorial! For more information regarding tutorial submissions, go here. They do not have to be comprehensive, even a compilation of progress shots with a bit of text will do! 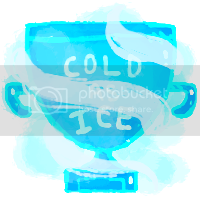 Participation of any shape or form, whether it be contributing to conversations regarding colour on the boards or submitting something into the palette gallery will allow you to earn the August prompt sticker! The activity will end on August 31st (NST) and another one will be introduced for the month of September. Pictures submitted from past months will still be hosted on this page. Welcome members of The Crayon Club to September's monthly activity! The guild aims to encourage its fellow members to practice and continually improve their artistic abilities. The focus of this month is character design. Character design is the magical process of bringing an idea to life. All your favorite movie or book characters went through extensive stages of brainstorming and tweaking to become something you can grow attached to. A crucial part of a good character is a well rounded design. This month we will focus on tasks that will improve our design ability, and possibly result in a brand new character! Below are activities we have available for you to work on this month. Sketch: draft out some design concepts, exploring multiple forms and sizes for your character. Refine: choose your favorite sketch or combine features from a few, and further develop your design, figuring out details, accessories, things that will make your character original. Color: It's time to splash come color on it! Play around with color palettes for your design. You can try completely opposite palettes to get a different feel each time. Finish: Make any final changes to finish up your design. Caricature: Pick a characteristic (or multiple features) of your character's design and exaggerate it! Caricatures are a fun way to add charm and emotion to a character drawing. It also gives you practice in creating more dynamic drawings. 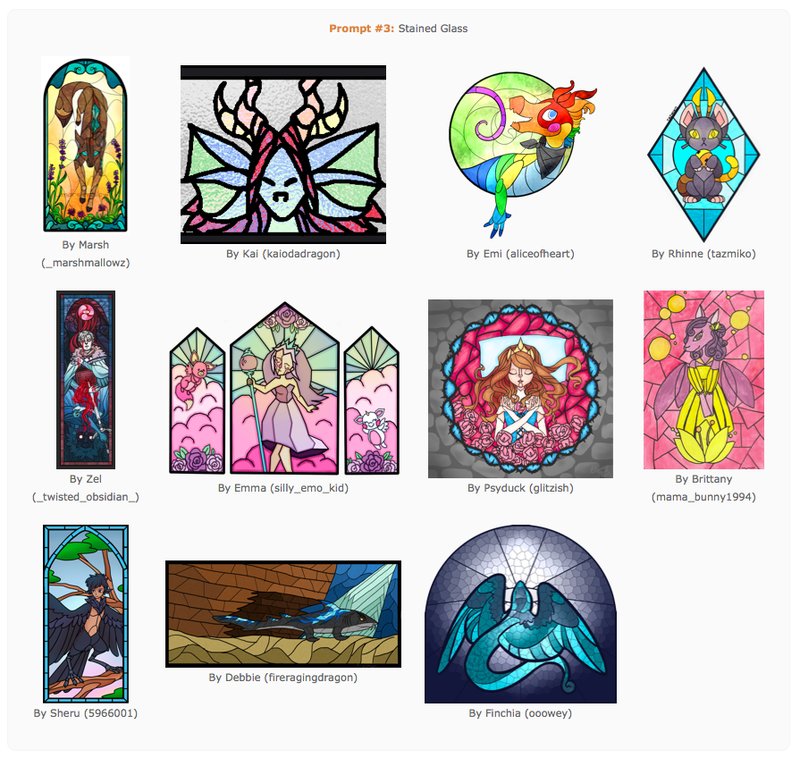 Stained Glass Window: For this challenge you will draw a stained glass window of your character. You could draw anything from a headshot of them to a full-body scene. 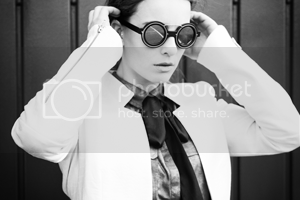 This activity is mainly an exercise in minimalism and stylization. It focuses on breaking up the important parts of your character's design into shapes. The challenges of stained glass windows is to use lines in a way that sections off the scene in an appealing way. 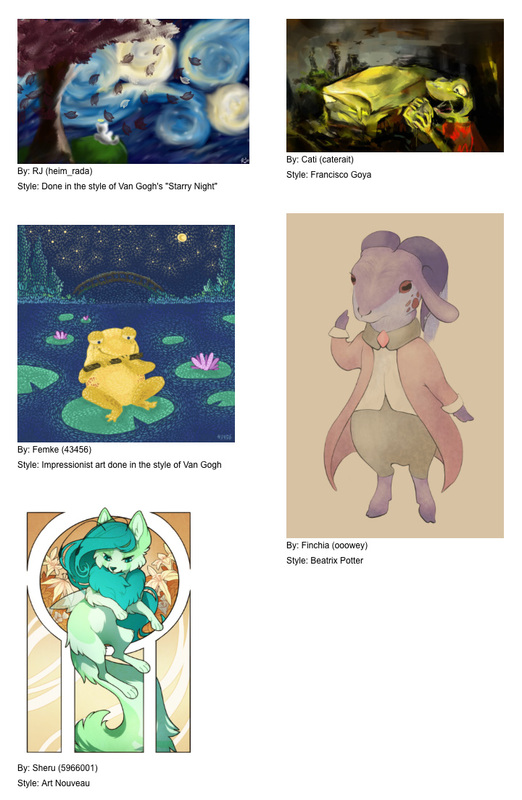 You can do an image search for stained glass animals (or human), or check out some of neo's stained glass items for inspiration! Logo Design: This is a fun exercise which focuses on the core identity of your character. In marketing, logos are meant to get the company's purpose across to the viewer quickly, and in a small amount of space. We will be focusing on illustrating your character's essence of who they are in logo form. 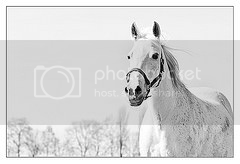 You can add their name or other text if you wish, or keep it strictly an image logo. Character Chart: Take this awesome chart, located HERE, and fill out as many fields as you'd like! (You do /not/ have to complete the entire chart, just choose which questions interest you!) These are awesome prompts that will get you thinking more in depth about your character. This is a /very/ long chart, so you can take the questions you answered and re-type them, or cut and paste the image of them next to what you drew. Make a tutorial! Are you a character making guru? Share some of your tricks and tips with the rest of the guild! 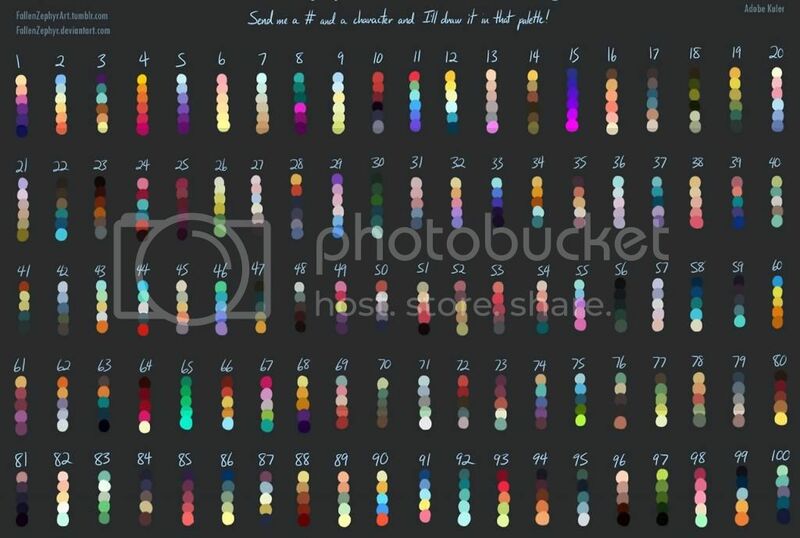 If you know good methods for choosing a color palette, how to work with various types of anatomy, tips for one of these prompts, or anything else, feel free to put something together on a petpage. It can be as simple or complex as you want. For more information regarding tutorial submissions, go here. 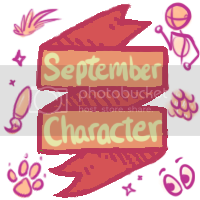 Participation of any shape or form, whether it be contributing to conversations regarding character design on the boards or submitting something into the this month's activity gallery will allow you to earn the September prompt sticker above! The activity will end on midnight September 30th (NST) and another one will be introduced for the month of October. The two tutorials that were made for this month can be found in the tutorials section of the guild webpage here, under "character design". Welcome members of The Crayon Club to October's monthly activity! The guild aims to encourage its fellow members to practice and continually improve their artistic abilities. To help us understand and focus on value alone, we'll be putting colors aside and working in grayscale for these prompts. Value is a vital building block of art, and an important part of a good composition. 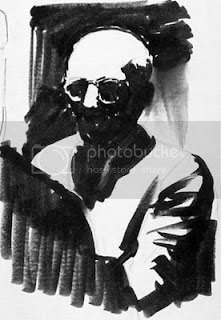 Some argue value is even more important than color in a successful painting. Often times, part of the reason you like a certain piece of art is because it has appealing values that are well executed. Value can tell us many things at first glance: what is in the foreground/background, the focal point of a composition, the shape of an object in 3D space, etc. As defined by an art site: Value refers to relative lightness and darkness and is perceived in terms of varying levels of contrast. Once you have established your values in a painting, adding in colors becomes much easier and usually has a nicer result. Below are various exercises for this month's theme. Each of these have you experiment with different ranges of values, to help you gain control over it and train your eyes to think in value instead of color alone. Have fun with it! Instead of starting from the typical white canvas and adding darks, start with a totally black canvas and add whites! Make a Tutorial: If you have knowledge about values and want to share it, make a tutorial for other members! It can be as simple or complex as you want. For more information regarding tutorial submissions, go to the activities arcade at /~khosari. 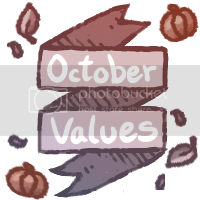 Participation of any shape or form, whether it be contributing to conversations regarding value on the boards or submitting something into the this month's activity gallery will allow you to earn the October prompt sticker above! These activities will end on midnight October 31st (NST) and another prompt will be introduced for the month of November. Welcome members of The Crayon Club to November's monthly activity! The guild aims to encourage its fellow members to practice and continually improve their artistic abilities. This month we will be exploring the topic of Perspective. Perspective is what allows us to portray a three-dimensional world on a flat canvas, giving the viewer a sense of depth or distance in our artwork. We live in a 3D world, and having perspective in our art lets the viewer immediately make sense of the composition and connect with it. It can be used creatively to turn an ordinary scene into a dramatic one simply by shifting the angle of perspective. Think of a bird looking down at a person below, or an ant looking up at an apple. A mountain in the distance looks very different than standing at the base of it, or the summit of it. The grids below are available to help you complete your perspective activity, or there are many other variations that exist on the web. You can submit your activity or send any questions to Marsh by clicking here. Overhead: draw a character/object/landscape from a top-down perspective. This can be drawn looking directly over your subject, or a high vantage point at an angle, anything where the camera is looking down below. Distance: pick two or more subjects to draw, either in an environment or by themselves. Draw one/some closeup, and the other(s) behind it far away. This exercise focuses on creating depth and size distortion in relation to distance. Fisheye: a tricky twist on perspective, try drawing a character or scene with the distorion of a fisheye lense. Make a Tutorial: If you have knowledge about perspective and want to share it, make a tutorial for other members! It can be as simple or complex as you want. For more information regarding tutorial submissions, go to the activities arcade here. 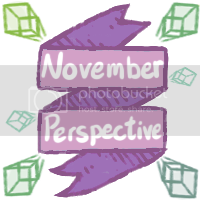 Participation of any shape or form, whether it be contributing to conversations regarding perspective on the boards or submitting something into the this month's activity gallery will allow you to earn the November prompt sticker above! These activities will end on midnight November 30th (NST) and another prompt will be introduced for the month of December. Any tutorials made will be added to the resource database after the activity finishes. 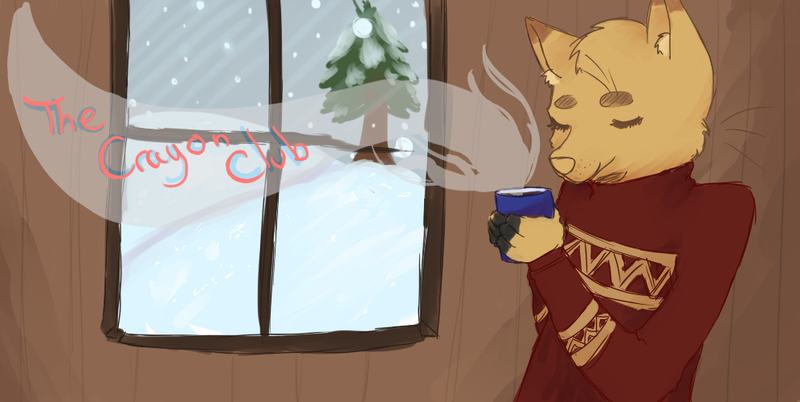 Welcome members of The Crayon Club to December's monthly activity! The guild aims to encourage its fellow members to practice and continually improve their artistic abilities. This month we will be exploring the topic of Emotions. Emotions are what takes a flat, boring character, and breathes life into them- giving them a way to communicate their character and state of mind as something we can understand. This month we will be working on drawing different emotions, and how they change the face and body language of a character. Faces: Choose at least 4 emotions listed below and draw head shots of each. Full body: Draw a full body picture of one emotion listed below. Try to have the whole character express your chosen emotion, rather than just the face. Make a Tutorial: If you have knowledge about emotions and want to share it, make a tutorial for other members! It can be as simple or complex as you want. For more information regarding tutorial submissions, go to the activities arcade here. 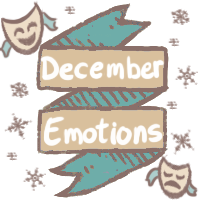 Participation of any shape or form, whether it be contributing to conversations regarding emotions on the boards or submitting something into the this month's activity gallery will allow you to earn the December prompt sticker above! 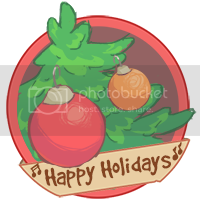 These activities will end on midnight December 31st (NST) and another prompt will be introduced for the month of January. 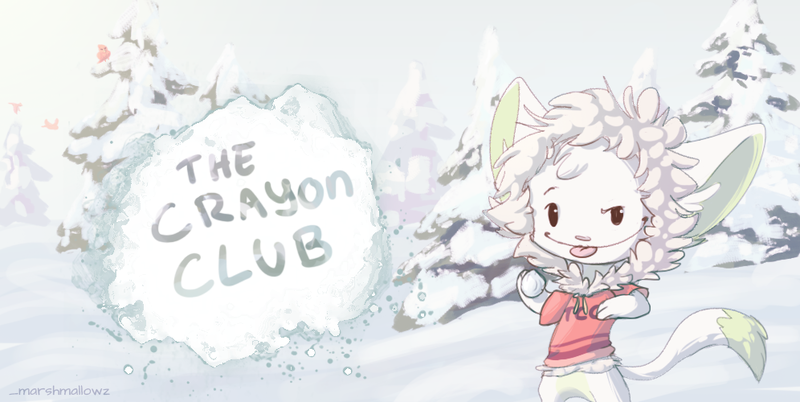 Welcome members of The Crayon Club to January's monthly activity! The guild aims to encourage its fellow members to practice and continually improve their artistic abilities. 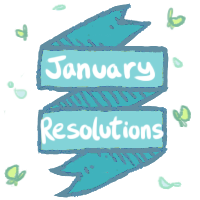 This month we will focus on the theme of Art Resolutions. This prompt is aimed to get your art resolutions off to a running start :D Pick one area you'd like to improve this year, and make your first attempt! Often we want to get better with our art, but don't know where to start. Isolating one area of art can make the challenge less daunting. The best way to practice is not to worry about the final results; just draw for the sake of practice. These entries aren't meant to be your best looking piece! This month is an opportunity for exploration, and we all have to make many "ugly" drawings in order to get better and create a beautiful one. It would be great to catalog all your research this month and present what you learned visually. Your task this month is to choose a topic you want to improve in your art, and focus on that when you complete one (or both if you'd like!) of the activities listed below. When submitting your entry, please list the topic you chose. Practice session: Practice your chosen topic anyway you'd like! Depending on the topic, you could make a collage of practice sketches and notes you've taken, or create one refined piece. Topic: canine anatomy, mainly legs/paws. Entry: a collage of leg/paw drawings, done from image studies or imagination. Entry: a scene drawn multiple times with a cool vs. warm color palette, or various speedpaints of different subjects, learning how colors interact. Entry: choose a subject and background as your scene, and practice arranging the composition differently to learn what looks better. 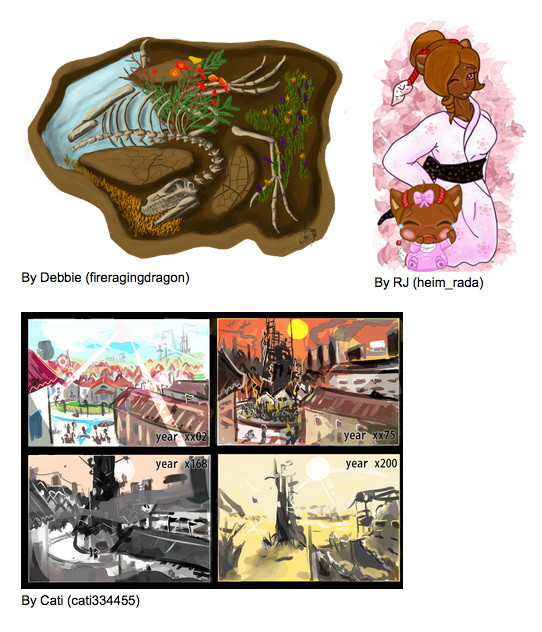 The Redraw: Pick an old drawing (~2 years or less) and redraw it while focusing on improving the topic you chose! A great way to complete this activity is to do some practice studies in your improvement topic, then approach your redraw. 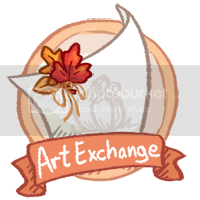 Participation of any shape or form, whether it be contributing to conversations regarding art improvement on the boards or submitting something into the this month's activity gallery will allow you to earn the January prompt sticker above! These activities will end on midnight January 31st (NST) and another prompt will be introduced for the month of February. Welcome members of The Crayon Club to February's monthly activity! The guild aims to encourage its fellow members to practice and continually improve their artistic abilities. This month we will explore various popular Art Styles. There is an endless variety of art styles in the world, but throughout history there have been famous eras of art, such as the renaissance, impressionism, or abstract period. This month you will get to emulate an art style, or famous artist's style, of your choosing. More information is in the tasks section below. This activity will be a fun "neopets" version of famous art. 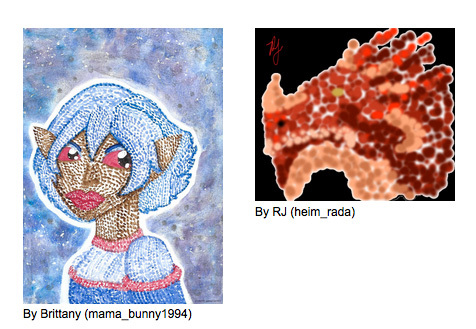 For example, you could draw Fyora in the style of Picasso, or Kiko Lake in an impressionist style. 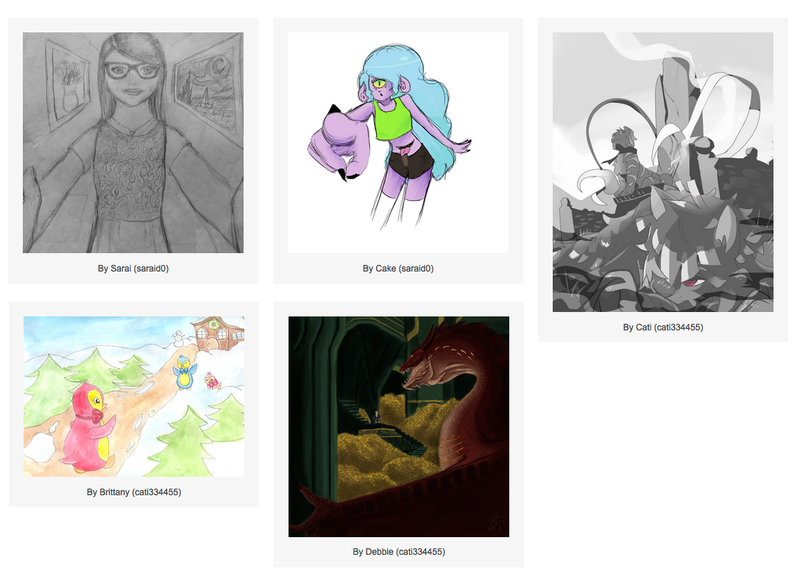 Art style: choose an art style in which you base your artwork on. 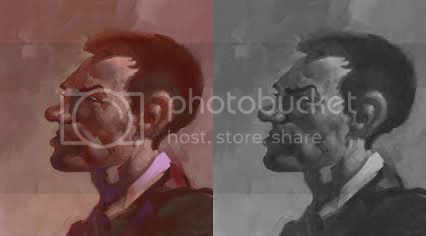 Artist style: choose a famous artist and create a drawing in their style. 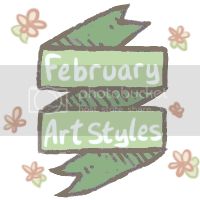 Participation of any shape or form, whether it be contributing to conversations regarding art styles on the boards or submitting something into the this month's activity gallery will allow you to earn the February prompt sticker above! These activities will end on midnight February 28th (NST) and another prompt will be introduced for the month of March. Welcome members of The Crayon Club to March's monthly activity! The guild aims to encourage its fellow members to practice and continually improve their artistic abilities. This month we will explore the topic of Character Interaction. Time to pack some action into those portraits! Character interaction can add interest and dynamic movement to a drawing. You can think of it as showing a snapshot of a movie storyline. As soon as you put two characters in a scene, some kind of interaction is happening. Are they friends or enemies? Siblings or strangers? Two characters arguing, dancing, surprising the other etc… these are all examples of character interaction. For this month's activity, your task is to draw a character interacting with someone (or something)! 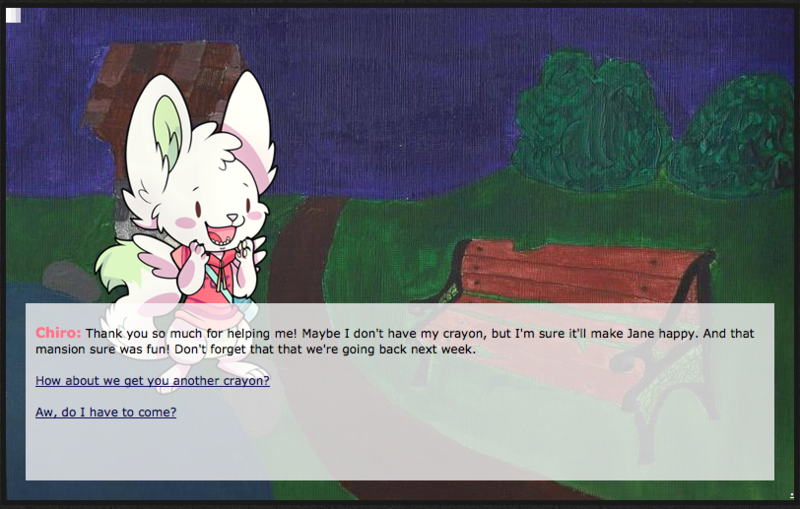 You can use your own character or any neopet as the main subject. 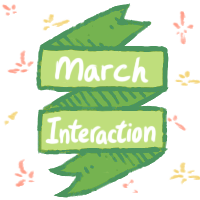 Participation of any shape or form, whether it be contributing to conversations regarding art styles on the boards or submitting something into the this month's activity gallery will allow you to earn the March prompt sticker above! These activities will end on midnight March 31st (NST) and another prompt will be introduced for the month of April. Welcome members of The Crayon Club to April's monthly activity! The guild aims to encourage its fellow members to practice and continually improve their artistic abilities. This month we will explore the topic of Time through art. Time can change people and places quite a bit. Imagine a park that's brand new with bright paint and newly planted trees; fast forward 100 years to an abandoned area with weathered, rusty benches, and giant towering trees. Or the ever common example- a child to elderly person's facial transformation. 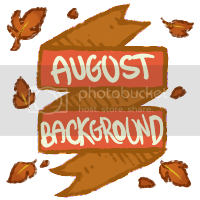 For this month's activity, your task is to draw a character portrait, landscape scenery, or a combination of the two, in two different states of time. You can draw each version side by side or one above/below the other. You can be as creative as you want~ have fun! These activities will end on midnight April 30th (NST) and another prompt will be introduced for the month of May. Welcome members of The Crayon Club to May's monthly activity! The guild aims to encourage its fellow members to practice and continually improve their artistic abilities. 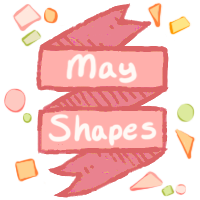 This month we will explore the topic of Shapes. Your prompt for this month is to choose one of 3 shape themes, either a circle, triangle, or 4 sided shapes (rectangle, diamond etc., anything with 4 sides!). Then compose your drawing using primarily that shape as a theme. These activities will end on midnight May 31st (NST) and another prompt will be introduced for the month of June. Welcome members of The Crayon Club to June's monthly activity! The guild aims to encourage its fellow members to practice and continually improve their artistic abilities. This month we will explore the topic of Texture through art. Texture can be used as a main way to identify or describe many objects. A smooth silk shirt vs. an itchy wool sweater. An animal with short or long fur, or scaly skin. A newly built house vs. an abandoned house with dirt and mold taking over. As artists we can depict what how something would feel by how we draw it. One art site describes texture as "the 'visual' feel of a two-dimensional work." Draw either a composition or a single object and focus on conveying the texture of the object(s). Create a zentangle drawing. This is a more abstract task on texture but can be super fun :) Do an image search of "zentangle" if you are unfamiliar with the term. 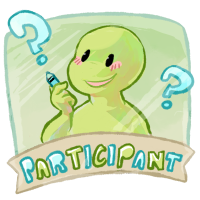 Participation of any shape or form, whether it be contributing to conversations regarding art styles on the boards or submitting something into the this month's activity gallery will allow you to earn the June prompt sticker above! 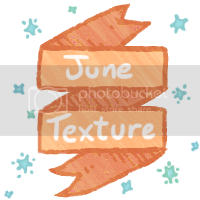 These activities will end on midnight June 30th (NST) and another prompt will be introduced for the month of July. This contest was held to design the guild's new mascot! members had two weeks to create and submit a design. King and the Guild Council decided on the top 5 designs, and then the entire guild had one week to vote on their favorite. This was a guild-wide event that took place during Halloween. The game was made in the style of a click-through mystery adventure, with interactive elements in each area. 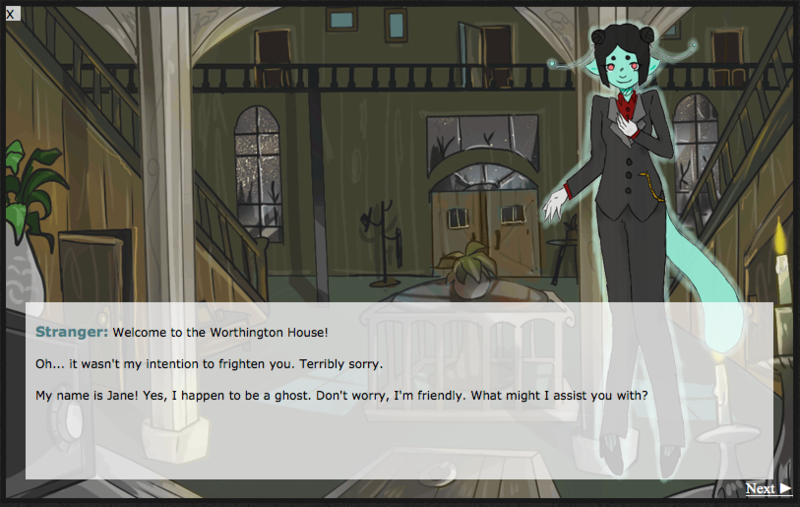 Players had to solve clues by exploring each room and talking with characters to advance in the game. 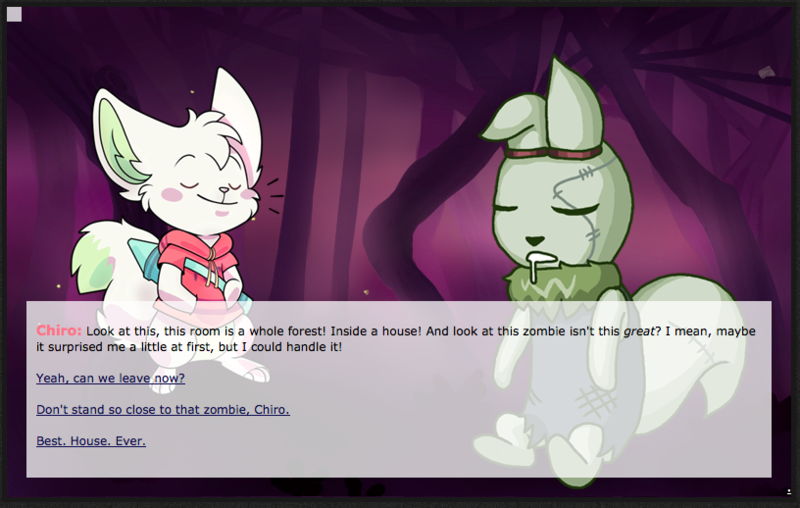 The story in the game was that the guild mascot, Chiro, had lost his favorite blue crayon somewhere in a haunted mansion. It was up to the player to find it. 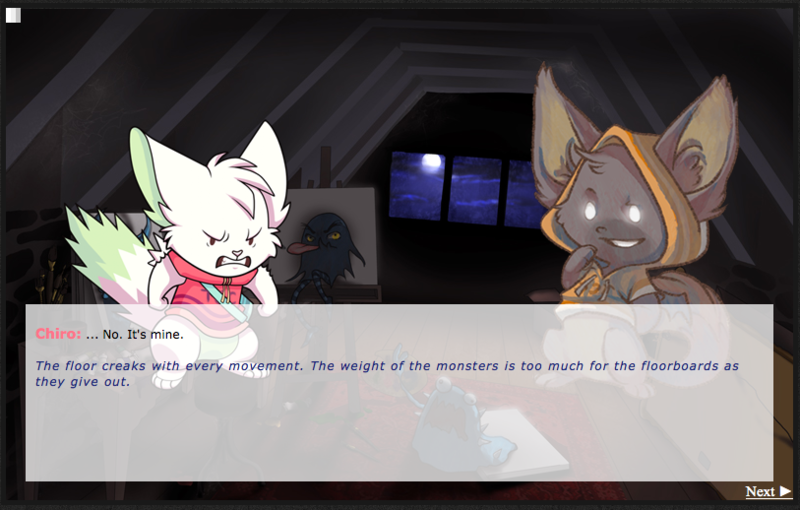 Guild members collaborated in this event by drawing background scenes, characters in various poses, and clickable items. 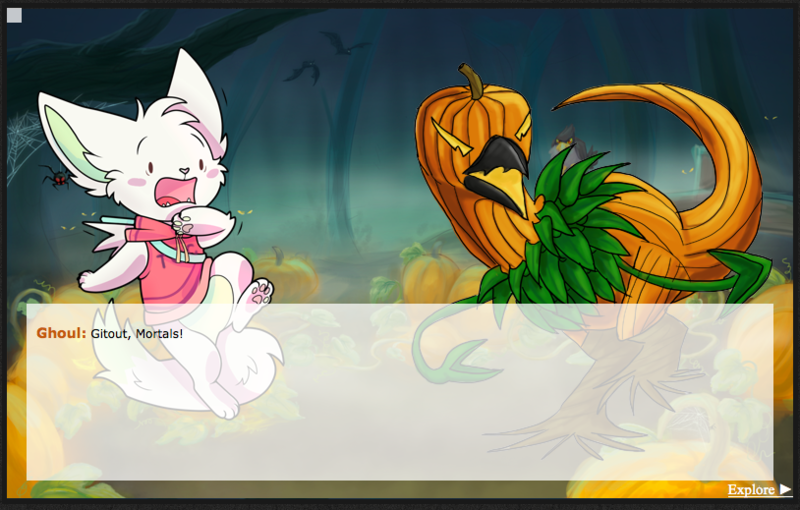 The game was coded and put together by the activity host Finchia (ooowey), who also rote the script of the story. These are some screenshots of the game! Paint an image with the following specifications, and neomail your image to nekolace. Kit will update this page with all submissions. Please make sure that you send your submission BY December 17th, because that is when the council will choose who the top 5 winners are! The 3rd place winner will get their banner featured for the last week of December (24th-31st). 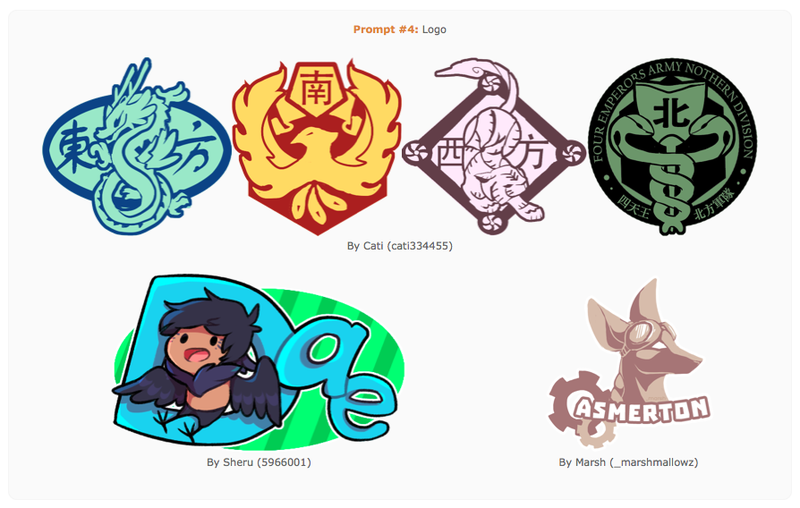 They will also win a custom sticker, and be promoted to PLATINUM with some admin privileges until April! The 2nd place winner will get their banner featured for two week in January (1st-14th). They will also win a custom sticker, and be promoted to PLATINUM with some admin privileges until April! The 1st place winner will get their banner featured until the week of Valentines Day! 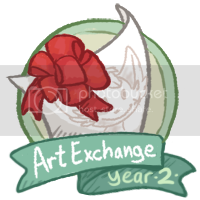 (Jan 15th-Feb 8th) They will also win a custom sticker, and be promoted to PLATINUM with some admin privileges until April! 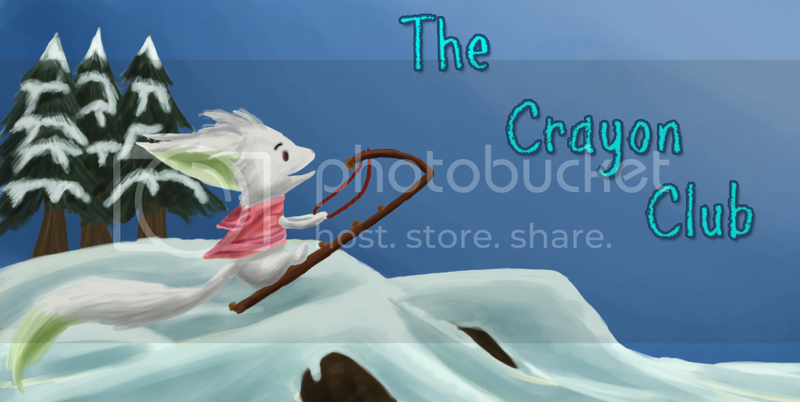 Click the banner to go to that artist's progress chart or userlookup! 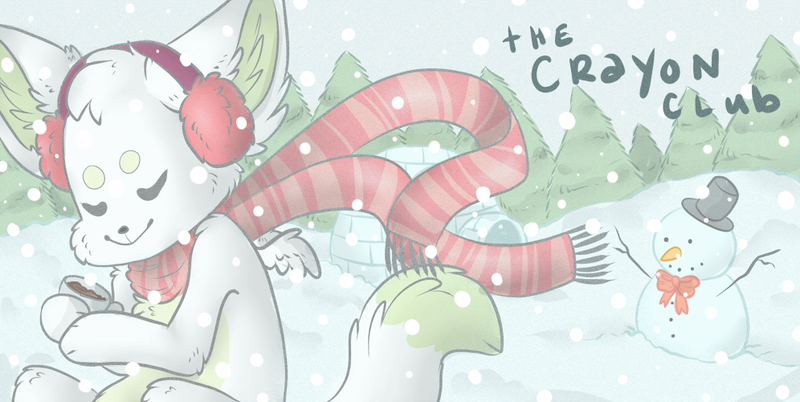 Welcome to The Crayon Club's holiday event, a winter Art Exchange! For this activity you will draw a picture from the wishlist of a randomly assigned member. 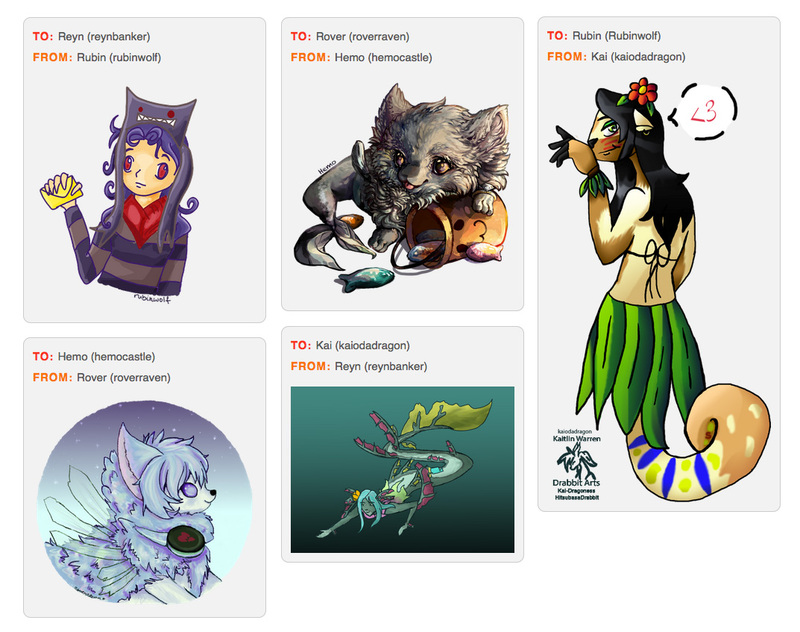 You will also receive art from your wishlist drawn by another randomly assigned member! To get started, all you need to do is put references for characters you want drawn on a petpage, and send it to Marsh using the form below. 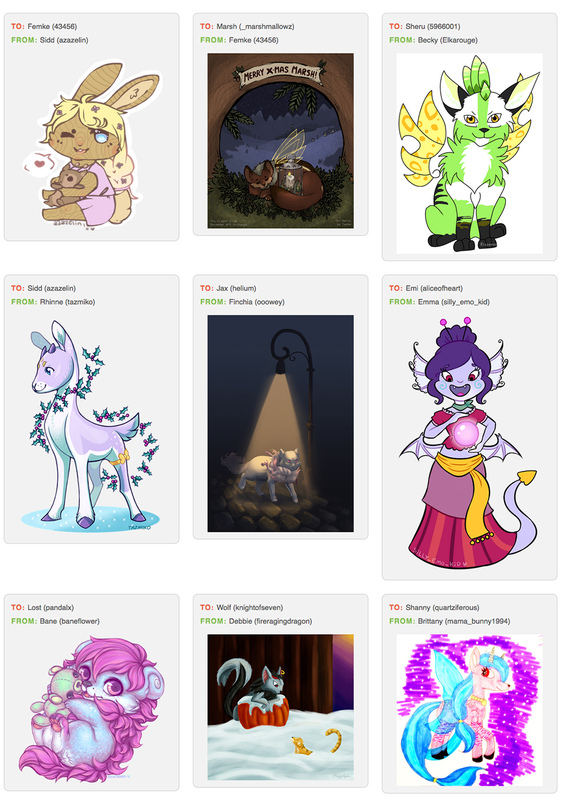 Your wishlist can have as many character references as you want; your secret artist will pick one (or more if they wish~) that they will draw, and send to Marsh. All artwork will be revealed for pickup on this page on January 1st. Once submissions are all in, the art will be revealed here on January 1st! Remember, this is a secret event! Don't reveal who you got until after the event has ended. Once you have been assigned a giftee, you cannot swap. The matches were made completely randomly, but also with preferences in mind from the submission form: if a match was randomly made and only contained what the artist specified as taboo, another will be randomly selected, until everyone has a match. If you do not hand in your part of the exchange by the deadline, and have not contacted me beforehand as to why, your gift will be witheld until a week after the others are released. No one will be left out! If your secret artist did not draw their part for you (but you drew your part), you will receive art from Marsh, Kit, or Emma. If you have any other questions about this event, feel free to ask Marsh here. There were 26 members that participated in this event, listed below. 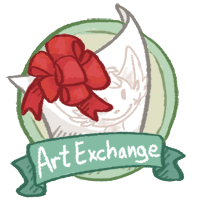 Welcome to The Crayon Club's 2nd holiday event, the winter Art Exchange! To get started, all you need to do is put references for characters you want drawn on a petpage, and send it to Marsh using the form below. 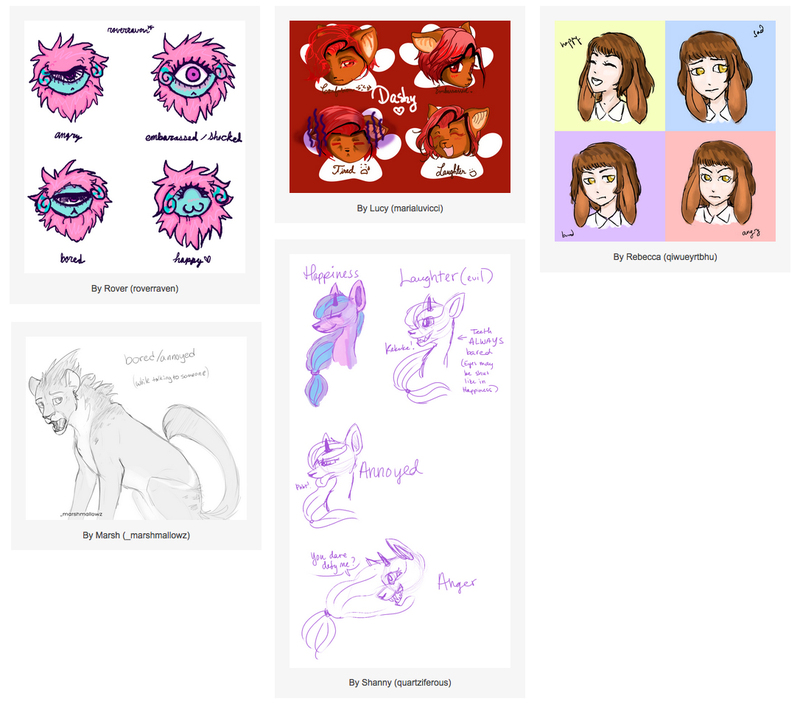 Your wishlist can have as many character references as you want; your secret artist will pick one (or more if they wish~) that they will draw, and send to Marsh. All artwork will be revealed for pickup on this page on January 4th. PLEASE BE MINDFUL OF DEADLINES :) This ensures you can participate and receive art! *If you know you cannot meet the submission deadline (Jan 1st), please contact Marsh at least 2 days before the deadline. Once submissions are all in, the art will be revealed here on January 4th! 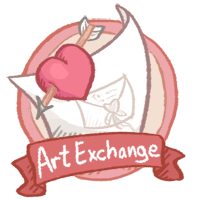 Welcome to The Crayon Club's activity, a valentine Art Exchange! To get started, all you need to do is put references for characters you want drawn on a petpage, and send it to Marsh using the form below. 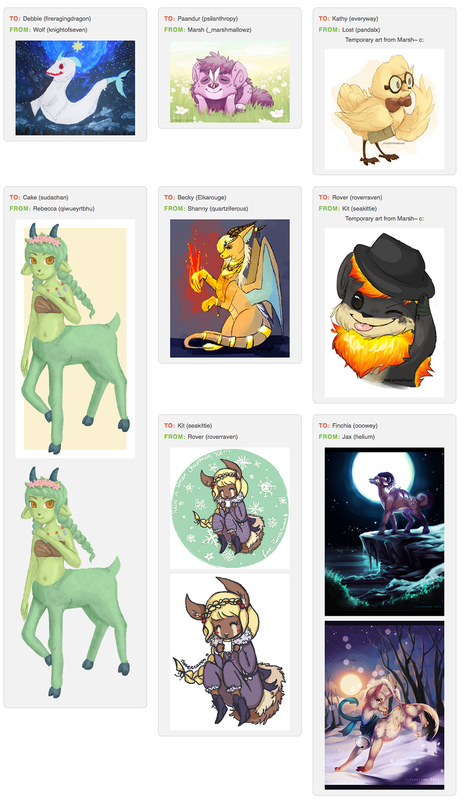 Your wishlist can have as many character references as you want; your secret artist will pick one (or more if they wish~) that they will draw, and send to Marsh. All artwork will be revealed for pickup on this page on February 14th. 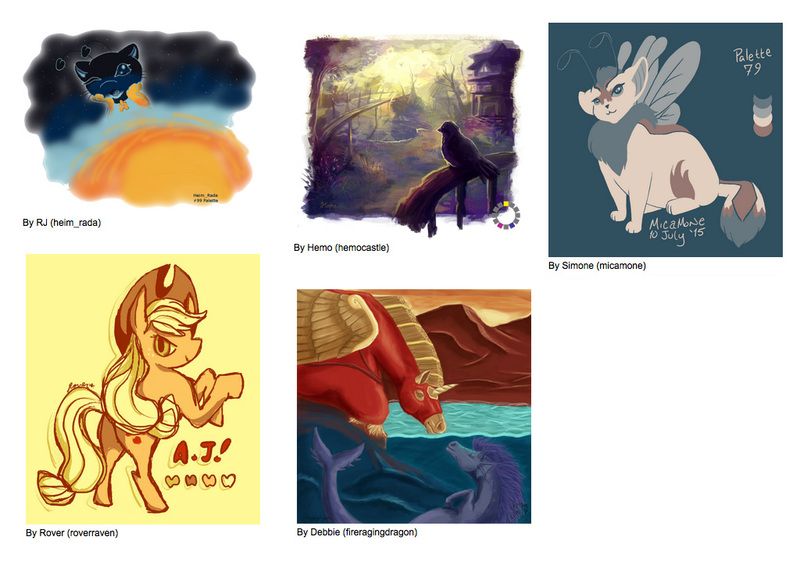 Art Display:Once submissions are all in, the art will be revealed here on February 14th! There were 18 members that participated in this event, listed below. 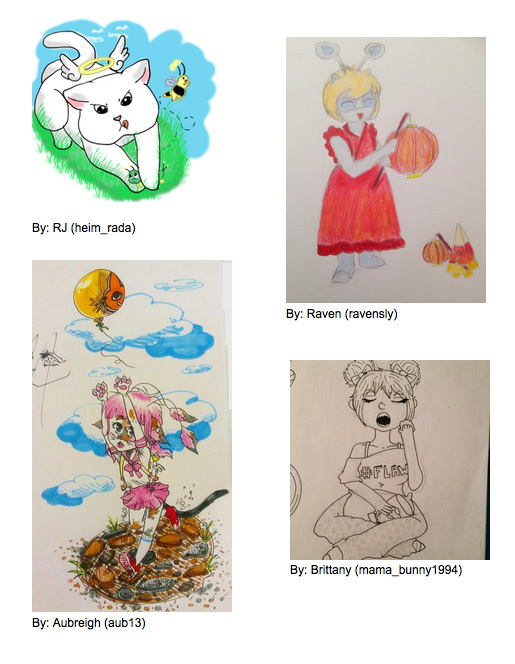 Welcome to The Crayon Club's activity, a halloween Art Exchange! Art Display:Once submissions are all in, the art will be revealed here on November 18th! To participate, all you need to do is put references for characters you want drawn on a petpage, and send it to Marsh using the form below. 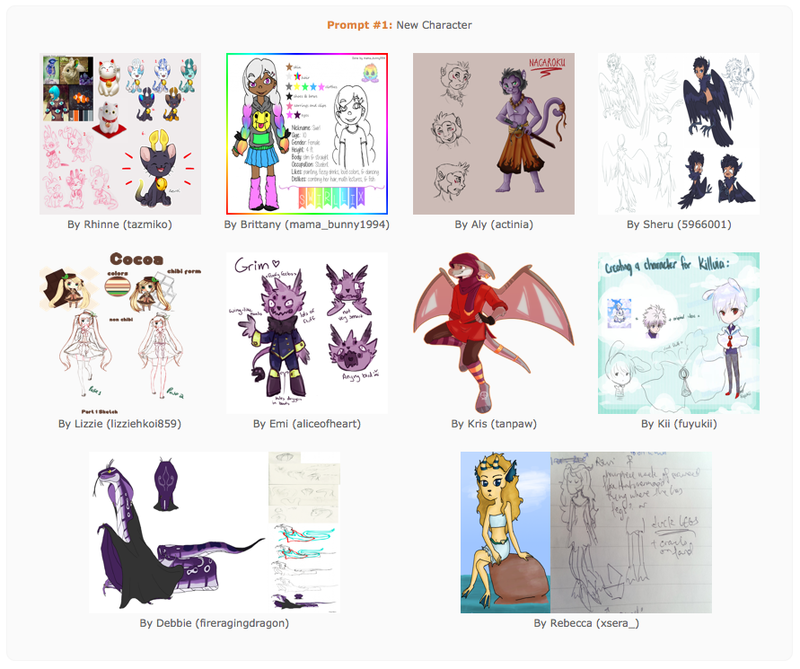 Your wishlist can have as many character references as you want; your secret artist will pick one (or more if they choose~) that they will draw, and send to Marsh. There were 5 members that participated in this event, listed below. Other than that, you have total creative freedom! You can design the shape and colors however you want, make it pixellated, animated, anything! If you have any questions about your ornament, you can mail Marsh. This ornament is understandably too small to put much more than your initials for a signature. Don't worry! 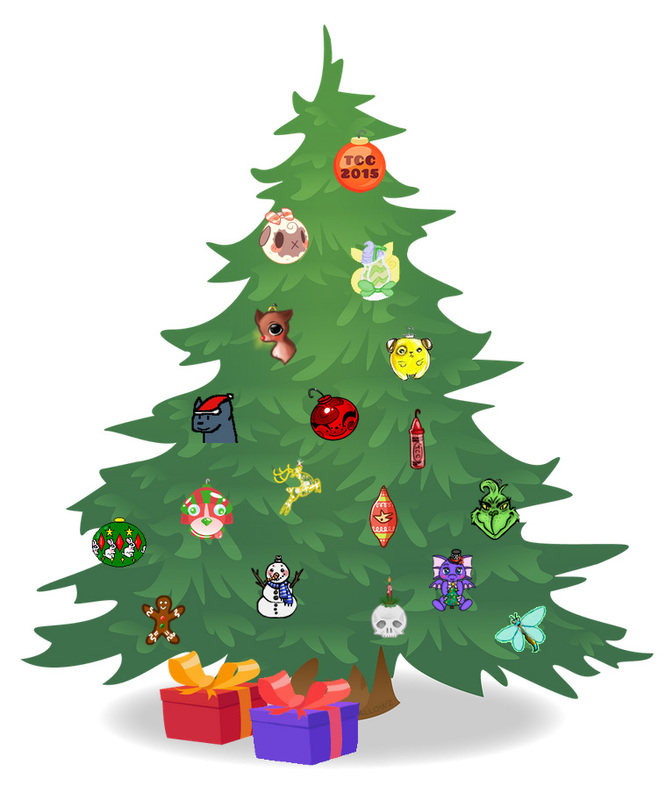 I will link your ornament to your TCC progress page (or if you are a miniature rank, your userlookup).